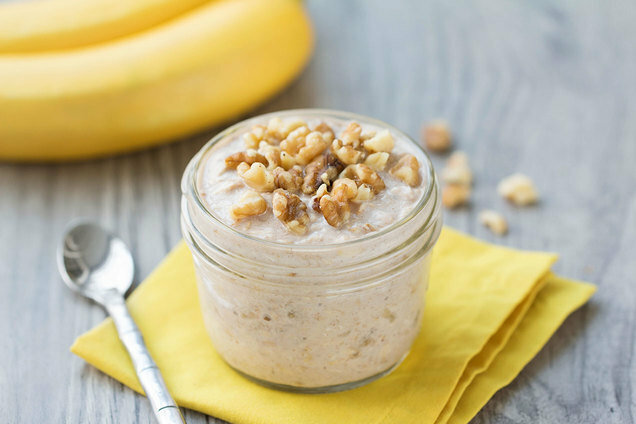 In a medium bowl or jar, combine almond milk, yogurt, sweetener, cinnamon, vanilla extract, maple extract, and salt. Mix until uniform. Stir in oats and banana. Cover and refrigerate for at least 6 hours, until oats are soft and have absorbed most of the liquid. Crave sweet, dessert-y breakfasts? Forget pastries... This dessert-inspired oatmeal bowl is much more satisfying! In a medium bowl or jar, combine yogurt, almond milk, sweetener, cinnamon, vanilla extract, nutmeg, and salt. Mix until uniform. 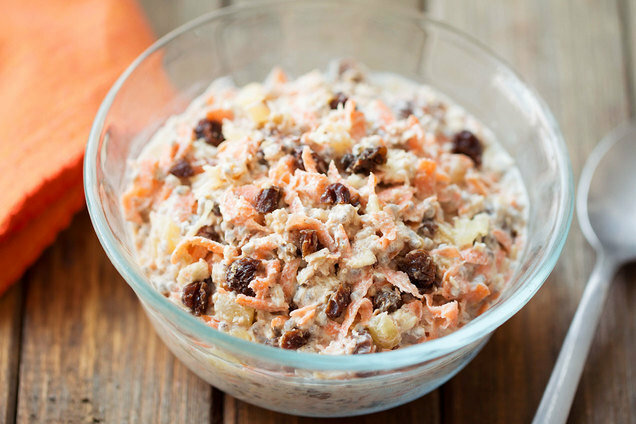 Stir in carrot, oats, chopped raisins, pineapple, and chia seeds. Clean & Hungry Tips: For all-natural results in these recipes, use pure extracts. And stick to natural no-calorie sweetener, like stevia. January 21st (today) is National Granola Bar Day. Step up your game with KIND Healthy Grains Popped Bars -- Salted Caramel or Dark Chocolate with Sea Salt! Feed your friends with healthy recipes -- click "Send to a Friend" now!